As I wrote about in my last post, I recently started baking bread for communion at my church. We do communion on the first Sunday of the month, so it is a pretty low-key commitment. I make one loaf for the pulpit for the pastors to break apart ceremonially, and one for the congregation to actually eat. I have done it twice so far, and learned a lot. Most important being: the softer the better. The first time I prepared bread for communion, I brought a sourdough. Not only was it tough, the sourdough starter taste in miniature made it tasted stale. So the second time, I made Ina Garten’s Honey White Bread from her book, Barefoot Contessa at Home. I got this book as a Christmas present and even got it signed by the domestic goddess herself! 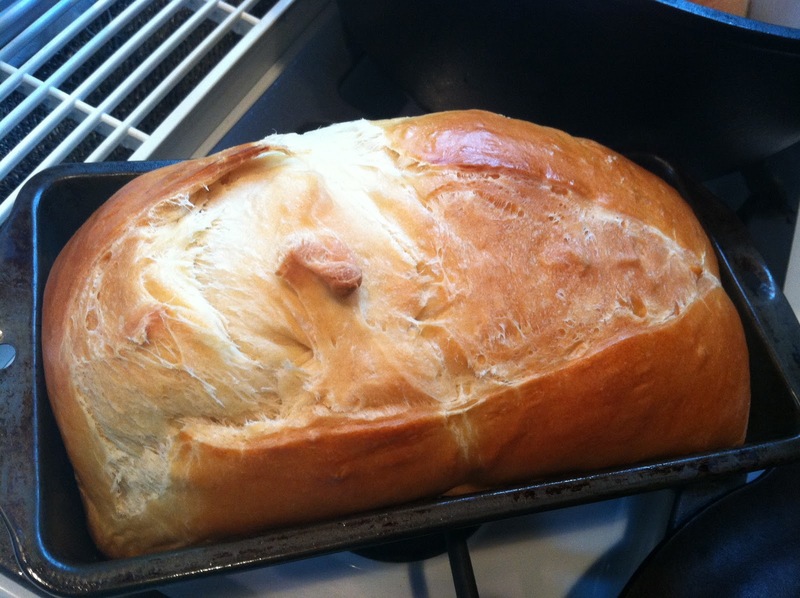 I love this bread and make it a lot because it is delicious and easy. I doubled the recipe because I knew my family would be clamoring for some too. 1. 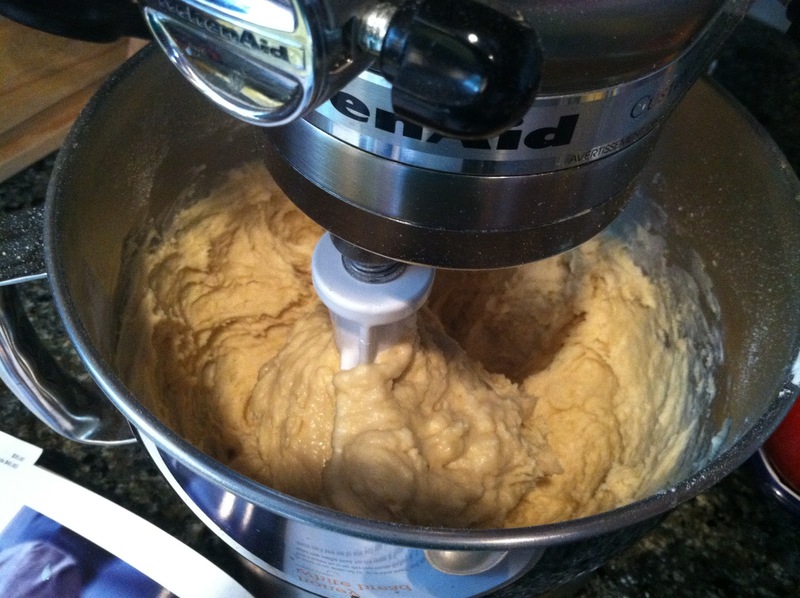 In the bowl of a stand mixer, pour in the warm water and sprinkle the yeast and sugar on top. Let sit for about five minutes until it is beginning to bloom and smells yeasty. 2. Add the milk, butter and honey and stir with the paddle attachment until blended. 3. 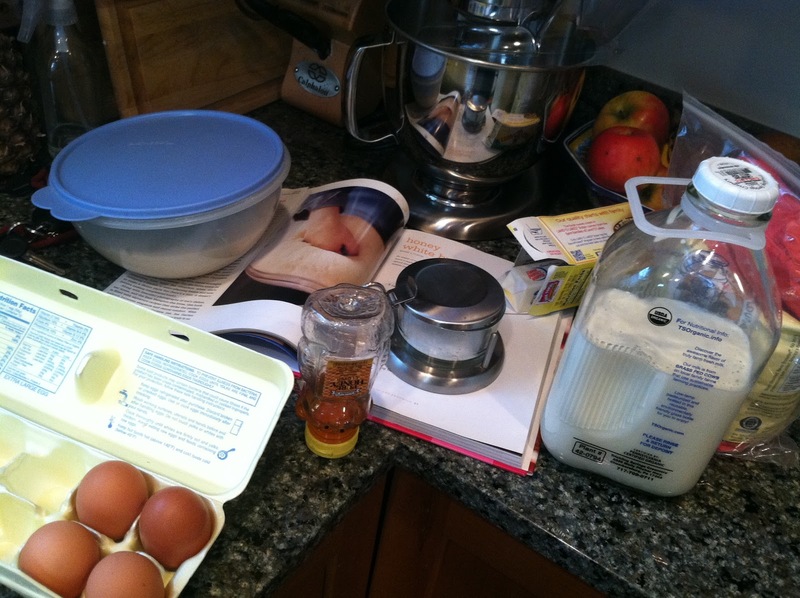 Add the eggs, three cups of the flour (one at a time), and the salt. 4. 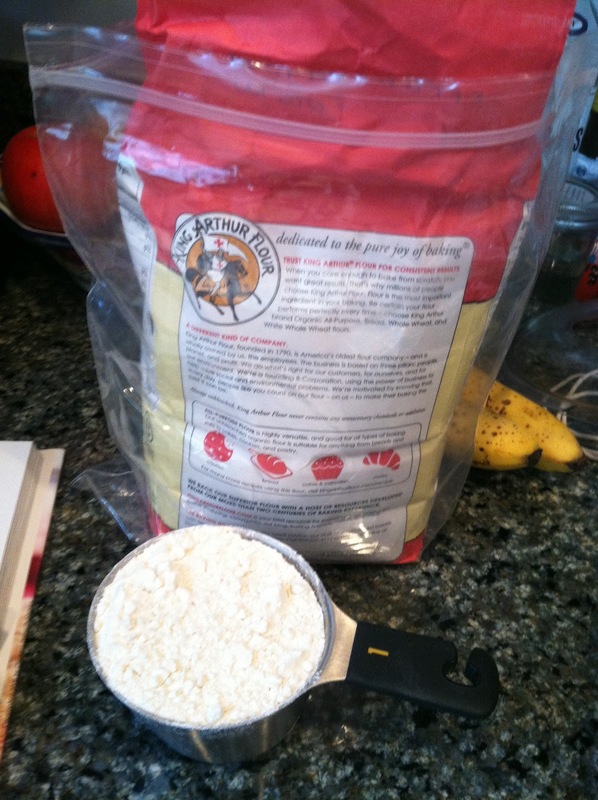 Once the three cups of flour are blended in, switch to a dough hook and add the next two cups of flour gradually. 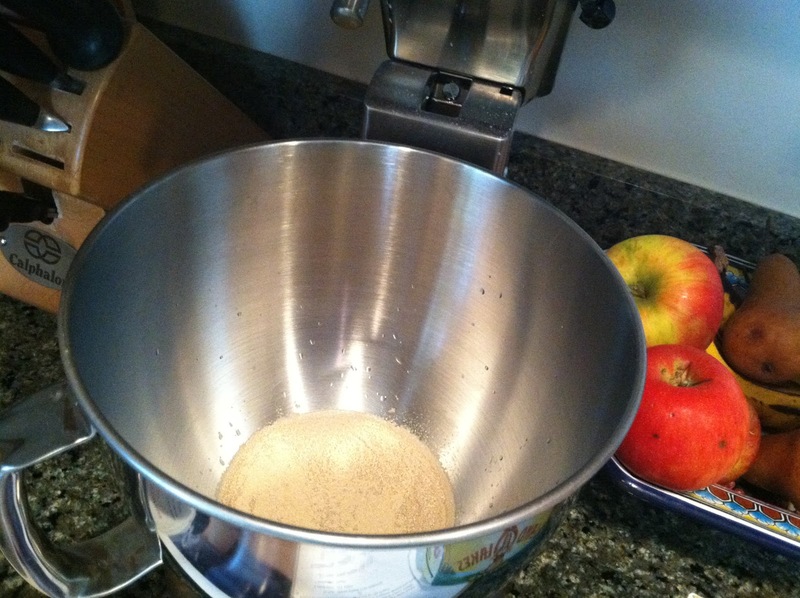 You are looking for the dough to start pulling off the sides of the bowl. 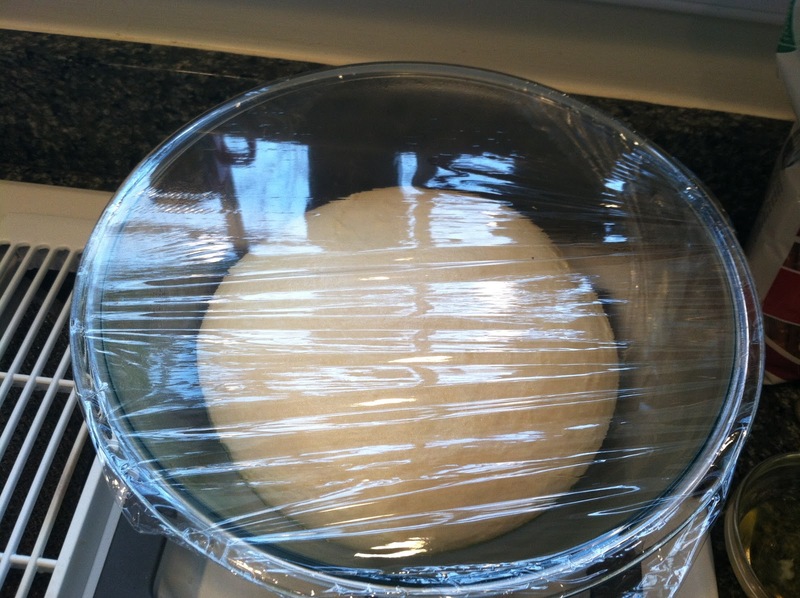 This means the gluten is beginning to form and the dough wants to cling together. 5. Depending on the weather, you might need just five, or more than six cups of flour! Be patient. 6. Bingo. 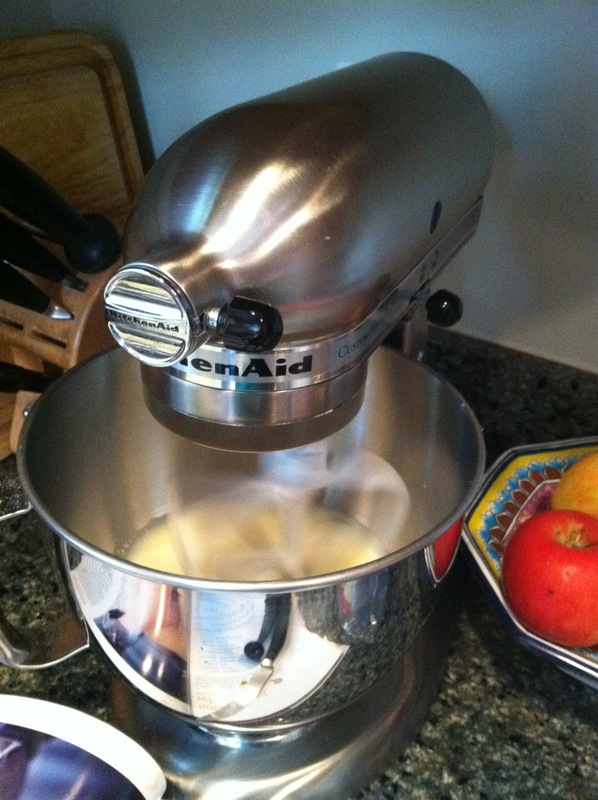 Now let the mixer knead the dough for about eight minutes. During this time you will want to pull out a large bowl and pour two tablespoons of olive oil. Set aside. Do some dishes or something. 7. 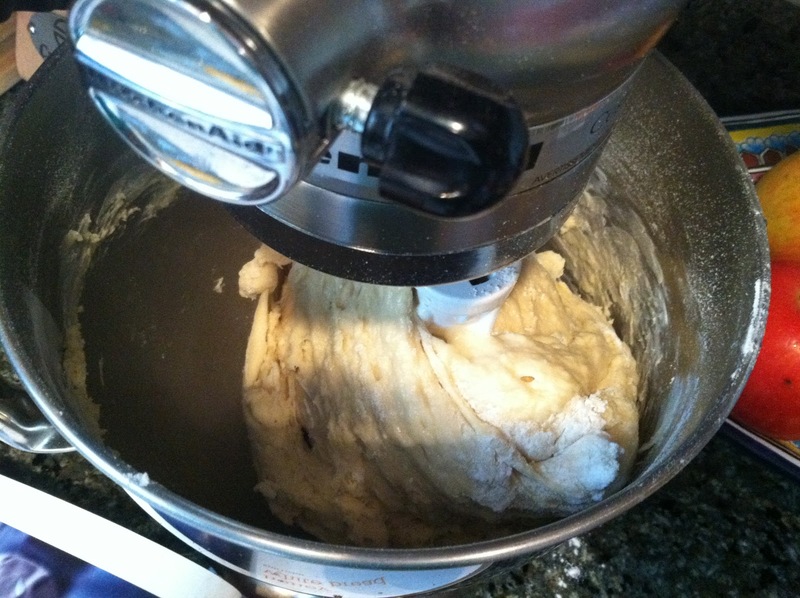 Once your eight minutes are up, remove the dough from the stand mixer bowl and form a ball with your hands, wrapping the ends of the dough under so the top is a smooth surface. 8. 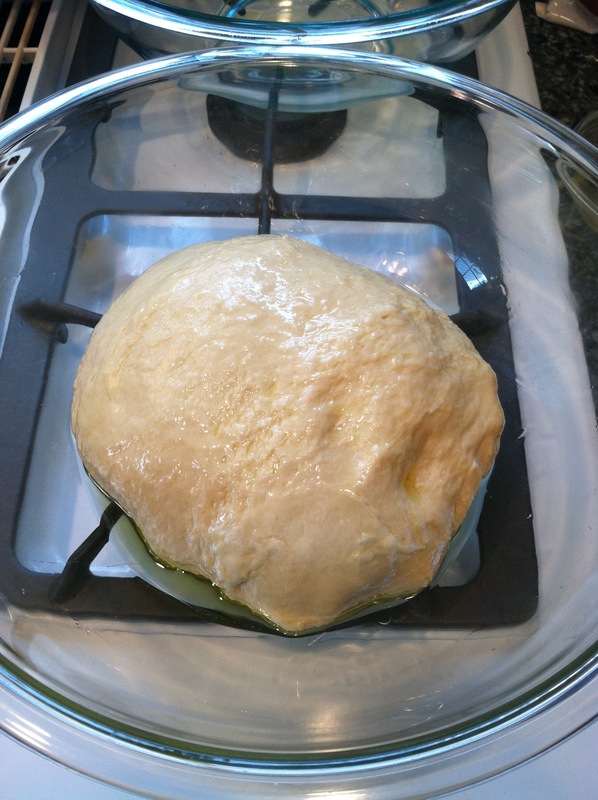 Place in a large bowl with two tablespoons of olive oil and flip to coat the whole surface of the dough. 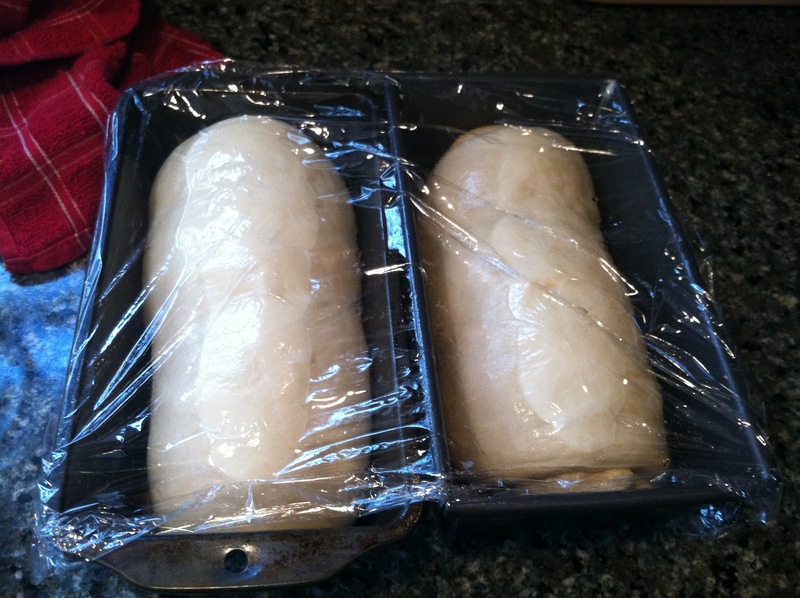 Cover with plastic wrap and a towel and put in a warm place to rise for an hour. 9. 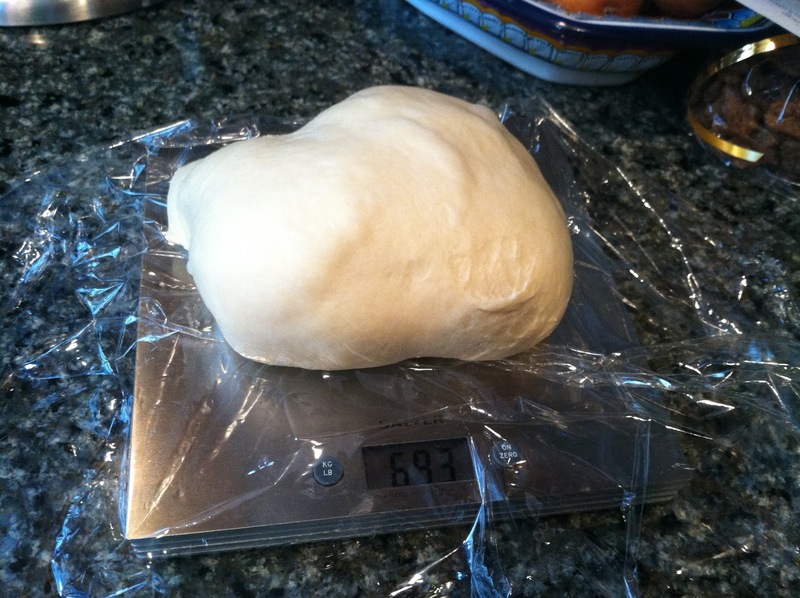 When dough has doubled in size, weigh it and cut the loaf in half. You don’t have to necessarily use a kitchen scale, but it insures the loaves bake evenly because they are exactly the same size. 10. 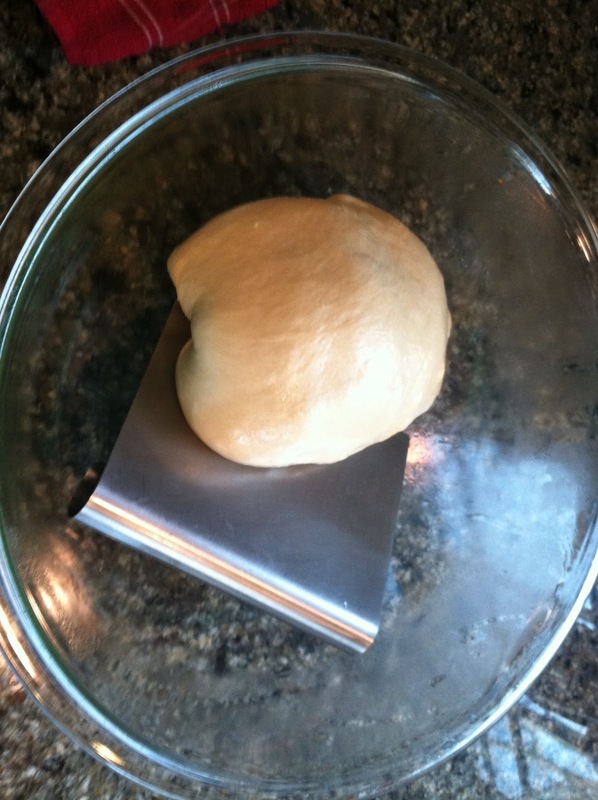 Let the dough rest for a few minutes while you butter two bread tins. 11. 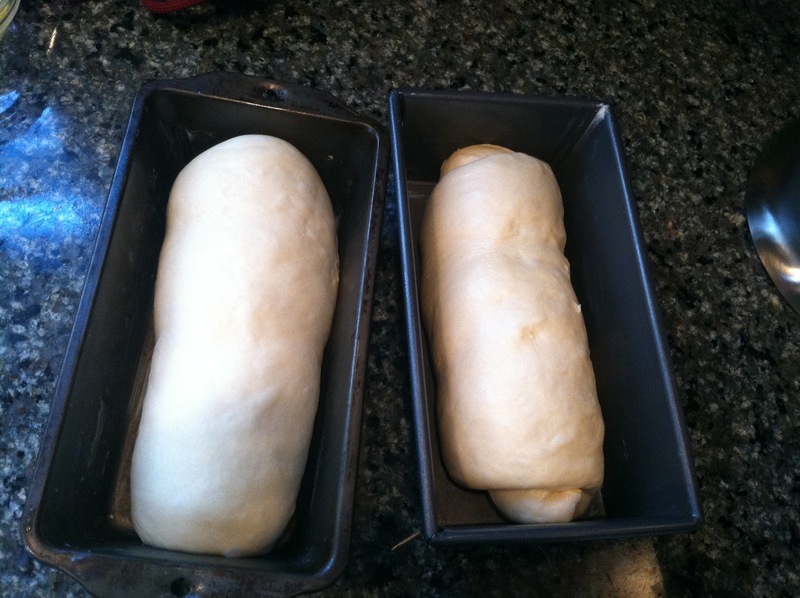 Roll up the two dough halves like jelly rolls, pinch the ends closed, and place in the pans seam side down. Cover with plastic wrap and let rise another 45 minutes. 12. At some point during the second rise, you will want to preheat the oven to 350 degrees F. When the dough and the oven are ready, brush the egg white over the top of each loaf, then score it across the top with a sharp knife. Place in the oven and bake for 40-45 minutes. 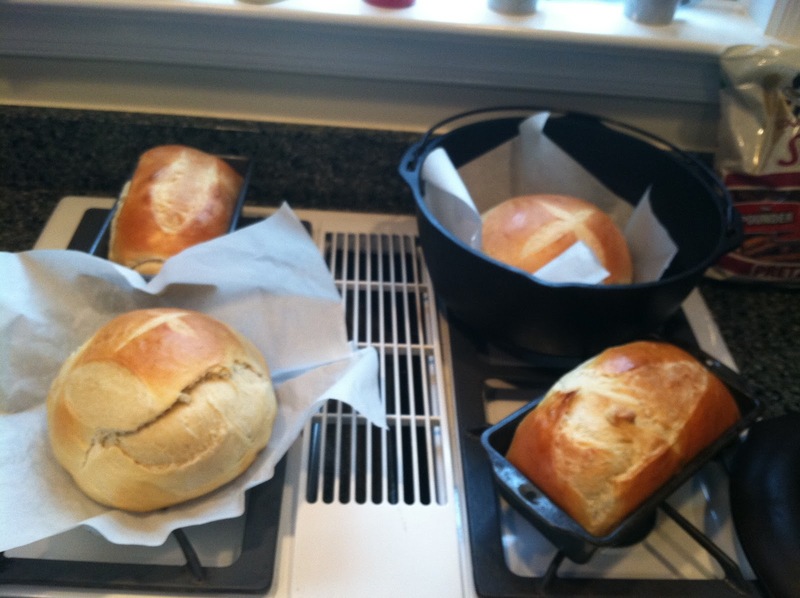 The circle loaves are for the pastor to hold up during the service, so I wanted them to be pretty. 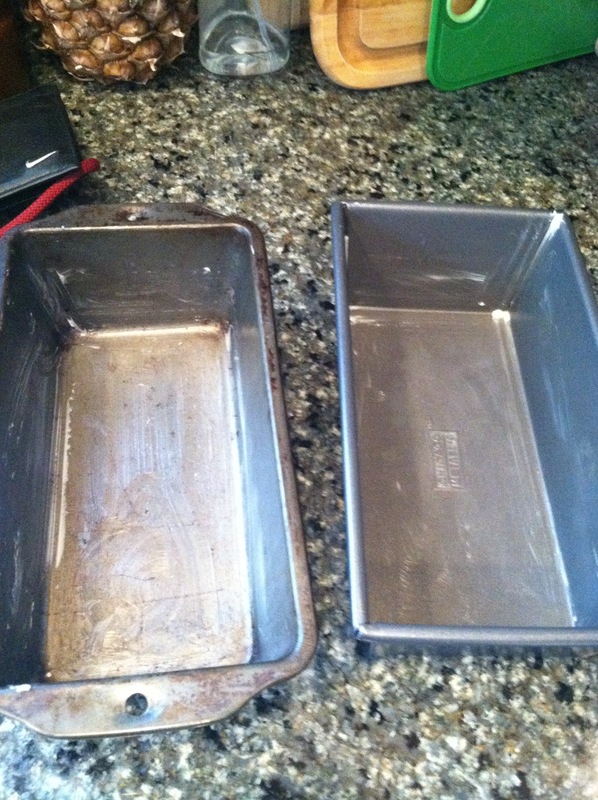 The loaves baked in the bread pans will be either eaten by my family or the congregation. 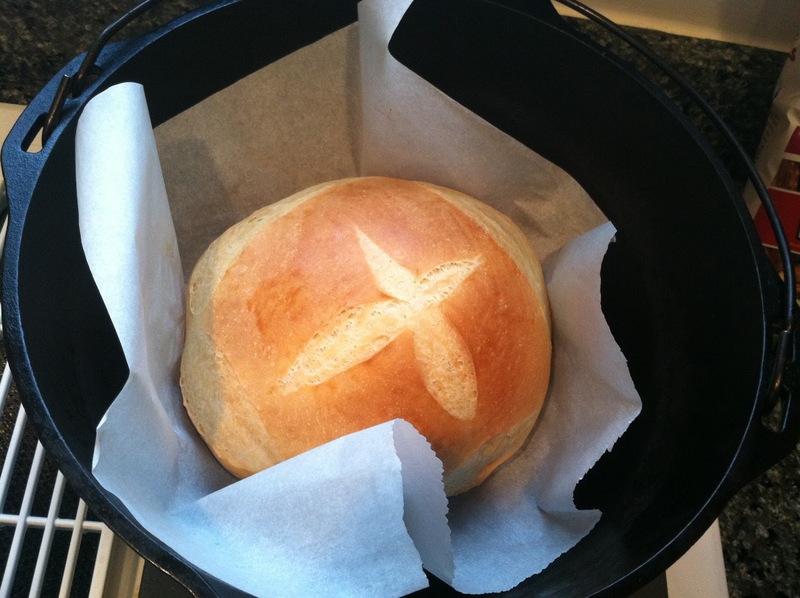 The scoring pattern looks especially pretty because the bread is baked at a low temperature. It doesn’t explode open like a bread baked at, say, 450 degrees F. This is going to look great on January 6. Until then I will freeze it in a ziploc bag.